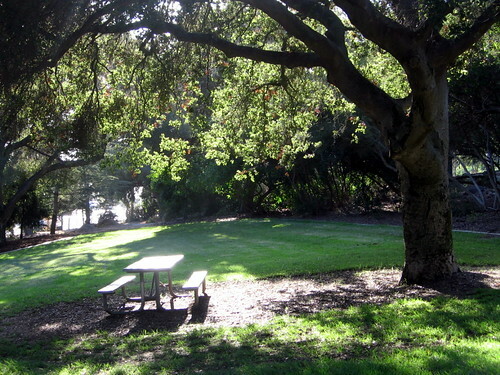 Orpet Park is nestled on a Santa Barbara hillside just below an area known as the Riviera. It's sort of a secret little park, a kind of hidden-in-a-neighborhood park, a bit of a mysterious patch of a park. And yet, horticulturally and historically, it is one of the most important parks in our city. The park was named after one of Santa Barbara's early master plantsman - a horticulturist, landscape designer, author, and civic leader: Edward Owen Orpet. Despite his many accomplishments, few of us know of him, or of his contributions to our daily landscape. The dust of time has settled over the scope of his influence, the variety of his plant introductions, his work with orchids, his vast knowledge of all things botanical. On very clear days, you can stand here on this swale of green and shaded lawn, looking down to where sailboats glide on the glassy blue ocean far below, past palms and aloes and eucalyptus and ficus and flowers that are cosseted among the red-tiled roofs of the city. From here, in every direction, you see evidence of his beautiful dreams that have materialized into a magnificent reality. Edward Owen Orpet, this visionary man, was born in England in 1863 to a family of humble means. As a young boy, he helped his family by working after school, and by age 11, was working full time. At that tender age, circumstances ended his formal education. By the time he was 14, he was working as a gardener's apprentice on an estate in Hampshire, England. He became an inveterate and gifted plantsman from that time forward. In 1887, when he was 24 years old, Orpet obtained a ticket on the White Star Line and sailed from Liverpool, England, to Passaic, New Jersey. He immersed himself even more deeply in his study and cultivation of plants. Eventually, he moved to Massachusetts, where he became a member of the Massachusetts Horticultural Society. He was considered an expert in the East, and dispatched gardening information in a series of public appearances. (From Transactions of the Massachusetts Horticultural Society, for the Year 1896.) Later, he moved to Chicago, and worked as a landscape designer for millionaire Cyrus McCormick, of International Harvester fame. He was employed for a time as an assistant propagator - and then as the Chief Propagator - for the United States Department of Agriculture. Orpet wrote for a variety of horticultural manuals with people like Lockwood de Forest. 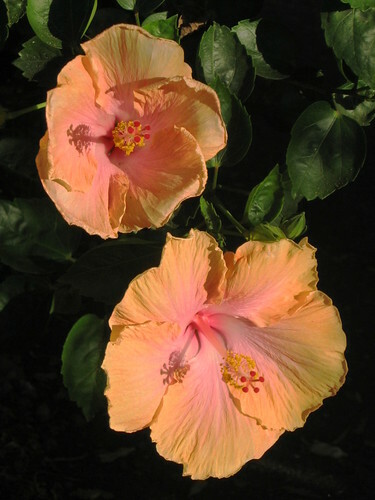 He contributed to Bailey's Standard Cyclopedia of American Horticulture. This four-volume encyclopedia printed in 1902, was the ultimate horticultural authority available at the time. It was compiled by the greatest and most knowledgeable plant experts in the United States, and in its 2000 pages, it contained a compilation of the horticultural knowledge of a nation. However, once Orpet arrived in California, he was done with asters and delphiniums. His spirit blossomed in Santa Barbara, and he was transformed by the Mediterranean climate and variety of plant specimens that were beginning to arrive from almost every continent. Orpet set about changing the face of Santa Barbara, certainly, and the entire nation, as well. In 1921, Orpet became the Superintendent of Parks in Santa Barbara, and served until 1930. He also owned a nursery in town with a sign that read, EO Orpet - Rare Plants, Bulbs, Cacti. Mr. Orpet brought cork oak trees and planted them along Santa Barbara's streets. He planted magnolia trees that are huge now, and shade the length of San Andres Street. 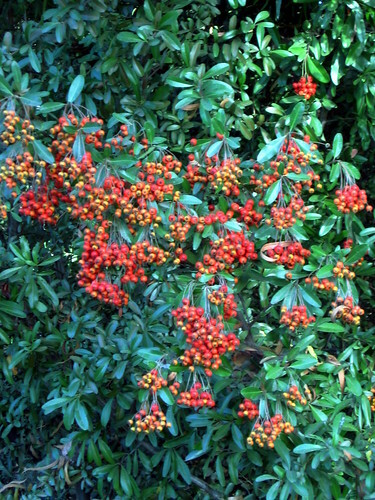 He introduced the pyracantha, or fire thorn, which is used in landscaping all over Southern California. Mr. Orpet began cultivating orchids, which were beginning to flow in to American lathhouses and conservatories from exotic and little-traveled shores. He exhibited the first hybrid cattaleya orchid from crosses he developed in the United States. He instructed other gardeners in the care of orchids, and in their propagation, as well. 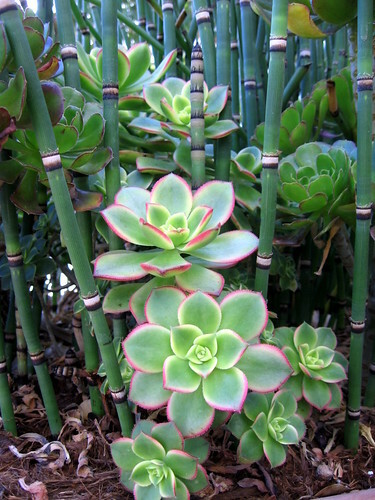 He gathered and planted some of the first sedum varieties in America, along with aeoniums, which have become ubiquitous landscape jewels that are strewn in gardens with abandon. 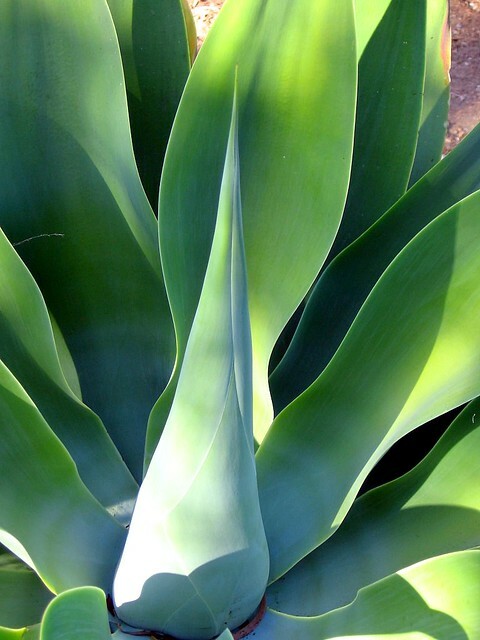 At the turn of the century, aloes were considered homely and unsuitable for landscaping - but Orpet changed that perception. 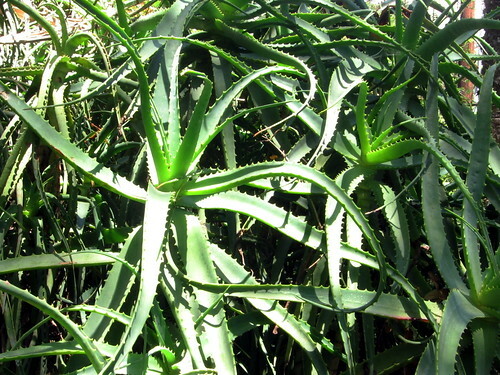 He introduced 30 varieties of aloes which are beloved all over the Southwest today. He was able to convince the California Highway Department to try iceplant (hymenocyclus) in the medians and on the shoulders along California's roads, to great success. He brought us alstromeria - Peruvian lilies - and traded some for the first Nerine lilies in America. And he introduced that beautiful orange-flowered vine - thunbergia. So, you see, his knowledge and contributions were legion. Orpet has been called a "plant missionary", and it is a fitting title. I suggest you take some time and visit Orpet Park. The park is on a rolling hillside, a perfect place for dogs and kids to run and play there. Parts of the park are neglected, but I love to wander the paths, and see what has persisted and survived on nothing more than sunshine and rainwater all these years. There are fabulous sandstone walls and steps, and paths bordered with more stones. You'll see giant birds of paradise, and an old, gnarled pepper tree. There is a huge old eucalyptus, riddled with thousands and thousands of holes, drilled by woodpeckers. And there is a row of phantasmagorical dragon trees - dracena draco - that seem almost animate. Most of the time, you'll have the park all to yourself. Located on Alameda Padre Serra (APS) and Moreno Road, you'll find half the park on the upper east side of the street, and half the park down below. This whole area, the Riviera neighborhood, now so richly verdant and heavily landscaped, was little more than a barren hillside at the turn of the century. According to Walker Tompkins, local historian, "A major hinge-point in the Riviera's history came in 1909 when the State selected Santa Barbara as the site of a Normal School". The site of the school was on a hillside property, just above Orpet Park. It is now home to the historic Riviera Theater and several businesses. It would take several incarnations, but eventually, the Normal School evolved into the the University of California, Santa Barbara, whose present site is about 10 miles from here. On the property next to the Riviera Theater is the exquisite El Encanto Hotel, originally the site of dorms for students who were attending the college. Like all college students - then and now - they loved to go into town, to socialize, to take part in cultural events. Reliable transportation was a must. 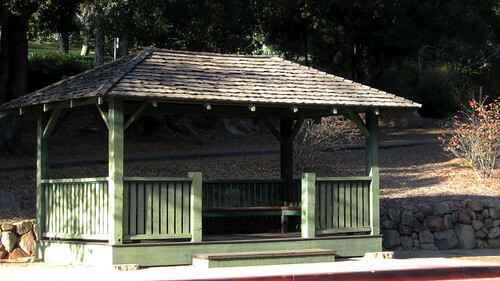 On the east side Alameda Padre Serra, on the sidewalk in front of the upper Orpet Park, you will see a little green shelter, topped with a shake roof. This was the streetcar stop that provided a vital link for the students who traveled from the college campus on the hill, to the town below. The City's streetcar system began in 1875, and provided the little town with transportation for more than 50 years. 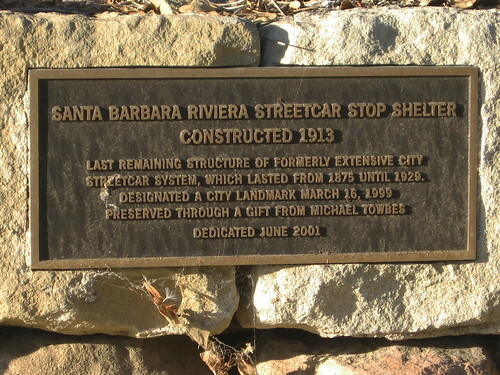 This "streetcar stop shelter" is the final remnant of that part of Santa Barbara's history. It has been named a historic monument, and provides a peek into that earlier time. Although there are no more streetcars to be found, our local bus line, MTD, has assured that the Old Mission Route makes a stop here. The #22 bus stops here every half-hour during the week, and hourly on the weekends. So, why not explore this beautiful park and the neighborhood nearby, on one of these early autumn days. Tour the serene and lovely garden that was named for EO Orpet, a great friend to Santa Barbara, and to all of us who love gardening.